Last Friday, I hosted our first open mic for the fall season. I'm still recovering from all of that heat, raw energy, and all of those stirring poems. Each of them moved me in different ways. Truth be told, I haven’t had much time to attend any of the open mic venues in the District where I live and claim my literary allegiance. Hosting the open mic at the Writer’s Center, however, took me back to why writing matters so much. Just sitting in the audience and occasionally introducing poets, I got entered a dozen people's lives. Suddenly, I cared about what pressed on their chests. I listened to pastoral poems. Poems about loss, war, heartbreak. There was a beautiful woman who performed a song “in the language of the deaf.” There were whimsical poems, sound poetry whose words would riff right off the page. It was quite a spectacle, something that I look forward to doing again, and I hope to see you there next time. Did any of you attend out open mic event? What did you think? Don't be shy. "Writing for Veterans" instructor Richard Currey (Fatal Light, The Wars of Heaven) will join James Grady (Six Days of the Condor, Mad Dogs) and Roach Brown ("Christmas in Prison") in a reading from the Akashic Press collection DC Noir 2: The Classics. The event is from 2-4p.m. in the reading room at the Center. This event is part of the Fall for the Book Festival sponsored by George Mason University. Rhozier “Roach” Brown, while serving a life sentence for murder, founded the Inner Voices, a drama troupe that was allowed out of prison more than eight hundred times to perform their brand of social drama. Largely as a result of the group’s success, President Gerald Ford commuted Brown’s sentence to immediate parole. The play Group Work was nominated for three television Emmy Awards and won Best Social Film at the New York Film Festival. A television documentary titled Roach was created about his life story. Later, he worked as a special assistant to Mayor Marion Barry for offender affairs and has been active in endeavors dealing with prisoners and former prisoners, both as the director of community-based programs and as a political activist. Brown played a key role in getting legislation passed that gave ex-offenders the right to vote in D.C. elections. He has also worked as a television and film producer. Book Blogger Appreciation Week Begins Sept. 15th! Today I wanted to feature one of the blogs listed in the lower righthand corner of this page. A fairly new blog called Art & Literature. So far, I like what I see. It features a local poet today, Brian Brodeur, who will be reading at the Writer's Center on Nov. 23rd (together with poet Eric Pankey of George Mason University). Brodeur's book, Other Latitudes, his first, won the Akron Prize. All the fun happens away from the computer: eavesdropping on juicy conversations, the pictures that creep inside your head, all of the poetry, the sounds, and colors that only writers can create with language. Writers do this all in our heads and in our notebooks. 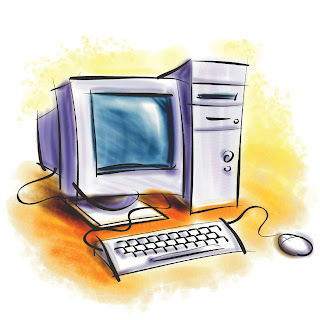 It’s only when we want to publish it or enter it into the market do we have to encounter the computer. And yet, fate has it that I learn Adobe InDesign, a computer software that would enable me to do more things as an editor, such as laying out The Carousel which will replace our former Writer’s Carousel and Brochure. My uncle used to say to me “You’re way too young to be so rigid.” Alas!, I will now have to spend the next couple of weeks playing with this new system so that I can, join my peers and embrace this machine that continues to find ways to bring you in. Is it old fashion of me to think that computers distract us from our work or is there some validity to my suspicion? Poet Lore has been alive and kicking out new issues of poetry continuously since 1889. As we approach our 120th year of introducing new poets alongside established writers, we have developed a website exclusively focused on Poet Lore. 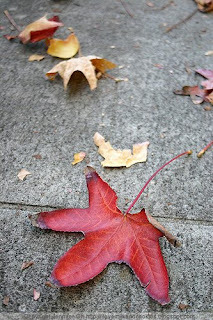 Visit www.poetlore.com to read samples from past issues, get information about submitting your own poetry, subscribe, read news on our poetry blog, learn more about our editors, and much more! And keep your eyes peeled for information about our 119th Birthday Reading this November featuring DC's own A. B. Spellman, and introducing NYC's Gardner McFall. Gardner's poetry is highlighted in the Poets Introducing Poets section of our upcoming issue of Poet Lore. Be sure your subscription is all paid up, so you'll receive your copy hot off the press. Many writers are asked what books matter to them the most. While this question may give me pause, on this day, September 9, I can easily say who’s one of my favorite writers and why. 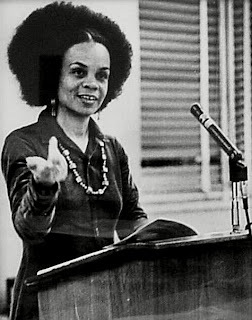 I believe it was around this time, autumn, at the Library of Congress when I met Sonia Sanchez. There’s an organization named Visionary Project that allowed young people to interview and archive an elder over the age of 70. So there I was watching Jackie Robinson’s widow and other luminaries, when a little woman walks out, with a voice that filled the room. She charged us with living an examined life and even offered her phone number. We all laughed at this mighty little woman’s boldness. Towards the end, I brought one of her books and asked her to sign it. So many people swarmed around her, making it difficult for me to say anything. About a year later, I spotted Ms. Sanchez at Union Station on New Year’s Day. I walked up to her and said “Happy New Years, Ms. Sanchez.” She gave me a hug with a quickness that caught me off guard. She invited me to call her. And ever since, I’d send her a postcard, see her in Washington D.C. I even got to honor her at the National Press Club reading from her work with three other poets. Today, Ms. Sanchez turns 73, and I’m sure that she has no plans of slowing down. She is still as fierce as she was in her youth when she help found the Black Arts Movement with Amiri Baraka, and her work appears in many of the seminal texts of that exciting period. Here's a poem I heard her read to a mixed crowd at SummerStage at Central Park, NYC last summer. Thank YOU members for making last weekend's open house a great event. Here are some photos, thanks to Carol Cissel, our Business & Operations Manager. Here's one of instructor Richard Currey (Writing for Veterans) posing with Kyle. Poet Lore turns 119 on Nov. 16th! Caitlin & Janel teamed up to register guests. Charlie and Janel giving away raffle prizes. I'm eager to get out to Leesburg tonight to attend my very first First Friday event at the Leesburg Town Hall. Author Kate Blackwell will be on hand discussing voice in writing. It's interesting, the synchronicity of the topic and my work this week. In the course of preparing for our Open House on Saturday, I was invited to select one book to recommend to readers as well as a 5-book package for our silent auction. 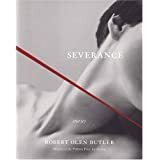 For my pick for readers, I chose Robert Olen Butler's Severance, a book I wish he hadn't written because I would have liked to write it. Butler writes in the voices of history's most famous severed heads. While the voices themselves are compelling and unique (and numerous! ), what I really envy about this book is how Butler calculated the likely number of words the human brain can process from the moment of beheading until loss of consciousness--and then wrote these little pieces using that number of words. I love the constriction of form, and I also love obsession. This book hits all my buttons. nothing. The colonel returned with a sack used to bring groceries home. He spilled many human ears on the table. They were like dried peach halves. There is no other way to say this. He took one of them in his hands, shook it in our faces, dropped it into a water glass. It came alive there. I am tired of fooling around he said. As for the rights of anyone, tell your people they can go f--- themselves. He swept the ears to the floor with his arm and held the last of his wine in the air. Something for your poetry, no? he said. Some of the ears on the floor caught this scrap of his voice. Some of the ears on the floor were pressed to the ground. The voice here is horrified, as we are reading of the event, yet the detachment, the attention to details, are lyric and scattered, the way we tend to remember traumatic or frightening events. Forché's austerity, her lack of judgment of both the speaker and the characters within the poem, allow her images to do the work another voice might do through rhetoric. This is truly a remarkable poem, one I return to again and again in my own reading. -One on one conferences with our participating instructors. Dinner for 2 at one of three fabulous restaurants on Wisconsin Ave. Remember, the winner of our caption contest, here, gets one book from our selection of "new" titles. Contest closes at 5p.m. Friday. Good luck! These are all great blogs. See you Saturday! - Open House at the Writer’s Center, this Saturday, September 6, 2008. Meet our instructors; get a $50 discount on a workshop; participate in our raffle where the winner receives a free multi-workshop ticket; special activities for younger writers; and enjoy some lite refreshments sponsored by Trader Joe's. - Visit the Folger’s Poetry Series as they celebrate their fortieth year. For a full listing of their readers, click here. -Attend the Nation Book Festival on September 27. Nearly 70 authors will be in attendance. And yet, I urge you to not forget to attend the most important event: that is your meeting with your desk and chair. There is no substitution for writing. I’m learning this the hard way. I’ve set out to write a poem each day for the month of September. I know it sounds corny but it’s so easy to talk about what you want to write about and how you want it to get done. But, without the doing; it becomes cliché, and we all know that clichés are the enemy. 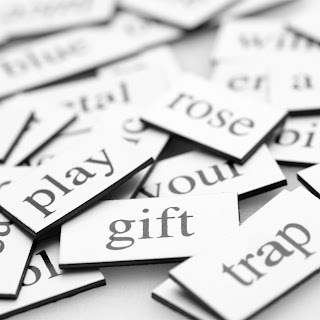 Check out my last blog for a list of telltale signs of being cliche.